A little book of comfort. Author John Calhoun explains how faith is changing the world for the better. 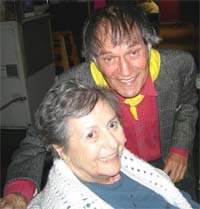 Beyond Dancing author Anita Ornoff reminisces with television's Larry Storch. Contact us toll-free by calling: 800-953-9929. All content and images © 2017 Bartleby Press.